Hello Beauties! I can't believe how quickly time is flying by, it seems like just yesterday that we were celebrating Christmas and now it's time for the next holiday! Although I'm regularly single on Valentines Day, it's one of my favourite days - I just love all of the pink, red and sparkles that the holiday brings and I'm pretty sure everything looks cuter when it comes in heart print! 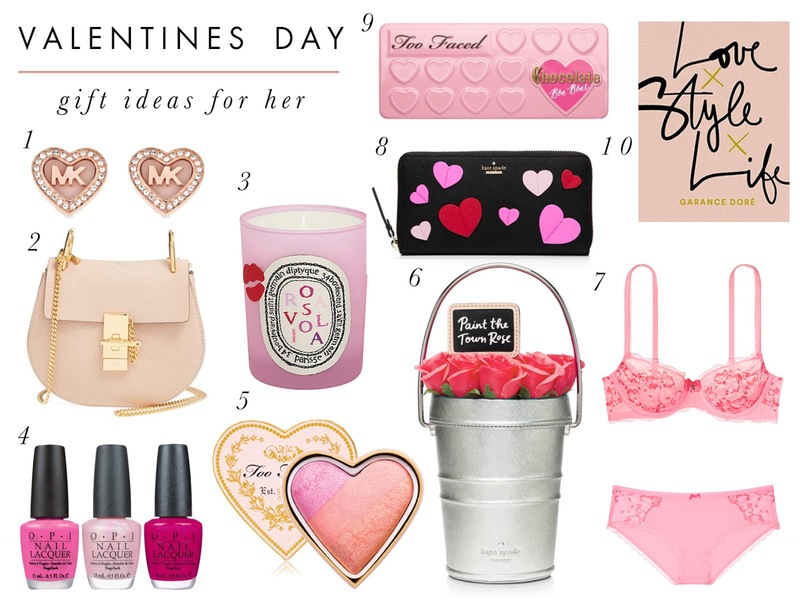 I thought I'd share a couple of my top Valentines picks for 2016, whether your treating a loved one or just treating yourself (I know I will be!). such lovely picks. I would love this diptych candle in my life!! Those Too Faced products are just so perfect for V-Day! This is such a perfectly thought out gift guide, there honestly isn't anything here I wouldn't be so excited to receive!